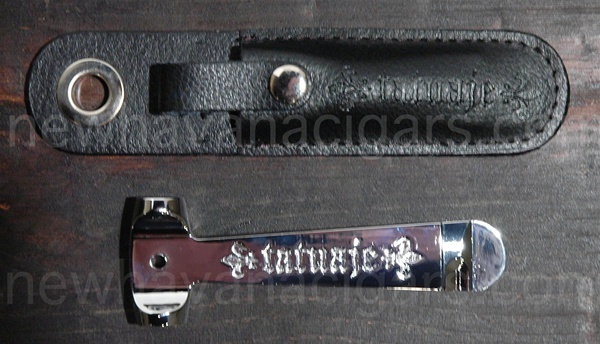 Tatuaje Pimp Hammer / Box Opener. A designed tool popular in the 'Island down south', the tool acts as a nail prying tool and hammer. 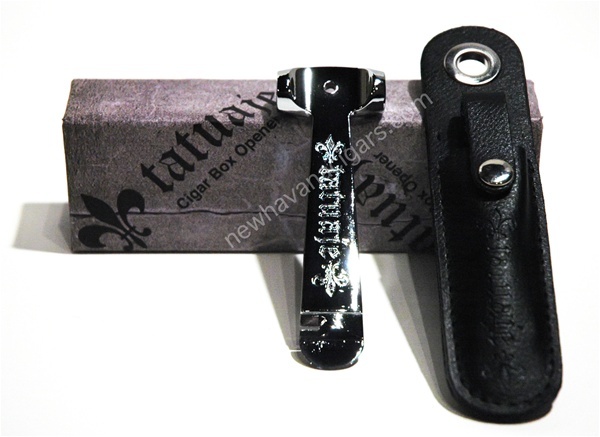 Engraved with the Tatuaje Logo on the opener as well as it's leather case!